Visiting us all the way from Vancouver! Spots are limited! Don’t miss out! INTRO ROLLER SKATE DANCE: 1:15 p.m. – 2:15 p.m. You will learn some basic roller dance steps such as the hez, tic tacs and the downtown, and we will piece all the steps together in a choreographed routine. All skill levels are welcome for this class, even absolute beginners! You can leave your toe stops in. Safety gear (wrist guards, knee and elbow pads and a helmet) is recommended to your own comfort level. INTERMEDIATE ROLLER SKATE DANCE: 2:30 p.m. – 3:30 p.m. You will build on the basic steps taught in the beginner class and learn steps such as the daisy, beginner crazy legs and the uptown. We will piece all the steps together into a choreographed routine. Skaters should already be comfortable on quad skates and you will be asked to remove your toe stops and replace with jam plugs. Safety gear (wrist guards, knee and elbow pads and a helmet) is recommended to your own comfort level. ADVANCED ROLLER SKATE DANCE: 3:45 p.m. – 4:45 p.m. You will learn moves such as the grapevine, snake walk, and loops. Skaters should be confident on quad skates. You will be required to take your toe stops out and put in jam plugs. Safety gear (wrist guards, knee and elbow pads and a helmet) is recommended to your own comfort level. Drop-in passes cannot be used for workshops. Workshops must be purchased separately. Andrea (with her skating partner Martin Newham) is co-founder of Roller Skate Victoria, a roller dance training and performance group in Victoria, BC. She has spent her life in figure skates — completing her Skate Canada Gold tests in Freeskate, Skills, and Dance. She became a professional show skater at 17 performing with Disney on Ice, Holiday on Ice and Canada Ice Dance Theatre. 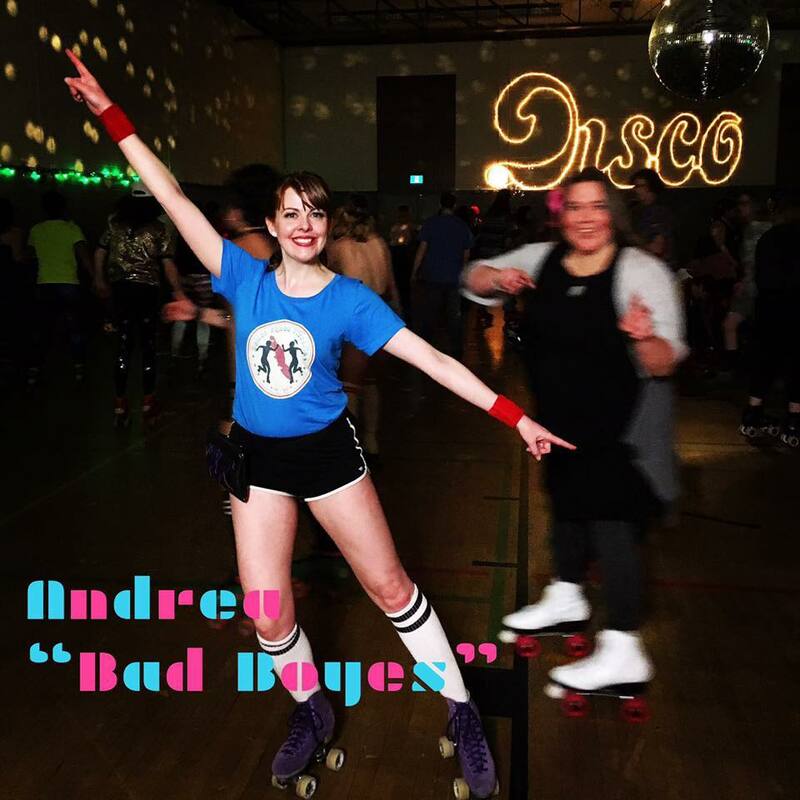 Andrea discovered quad skates in 2014 when she started roller derby at the suggestion of a work mate. Shortly after that she met roller dancer extraordinaire Chris Neima at a class he was teaching at Vancouver’s RollerGirl shop. This was the day her obsession with roller dancing began. Since then she has been performing with the Rollerskate Vancouver Show Squad and Roller Skate Victoria Dance Crew. Andrea also volunteers her time teaching skating to The Rotten Apples Junior Roller Derby team in Victoria’s Eves of Destruction league. Chris got his first pair of inline skates in 1991. He focused on skating ramps and street stunts, competing across Canada and coaching at Camp Woodward. 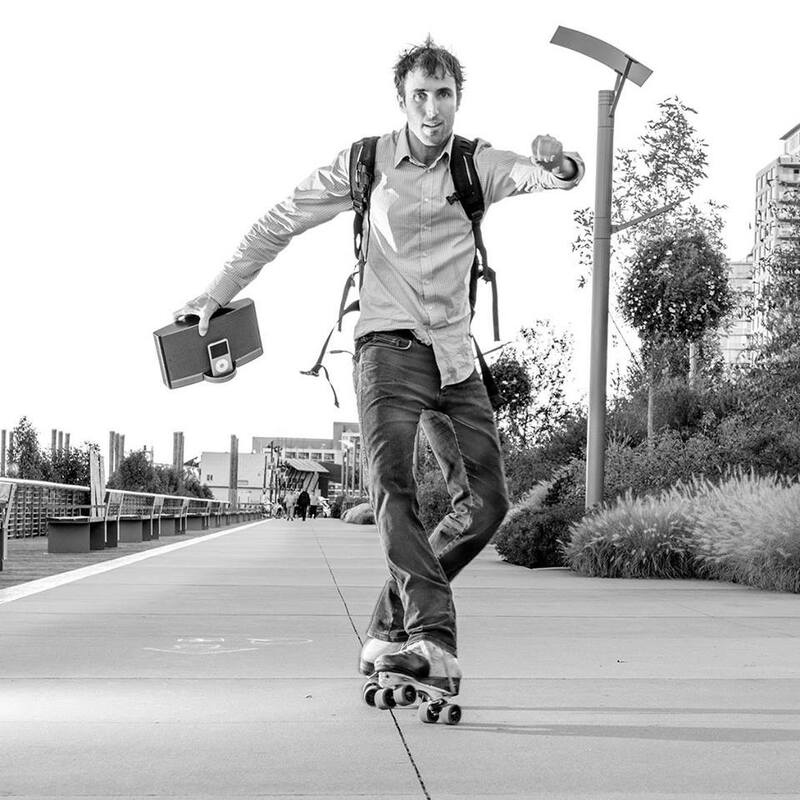 In 2011 his focus shifted to dancing and he bought his first pair of rollerskates. Rollerdance has been his primary obsession since then and he has traveled to cities like Atlanta, Seattle, Los Angeles, and London to learn from the best rollerdancers in the world. He is currently developing a style of skating the brings dance rhythm and groove to street obstacles and ramps.